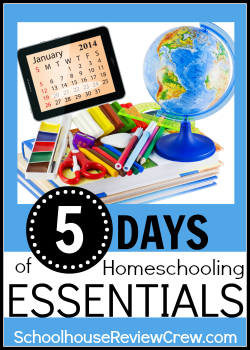 Welcome to day four of the five of blogging about homeschool essentials. :) Today I am going to talk about affording the homeschool life. It's about family.. whether it be your church family or your birth family or extended... Homeschooling sometimes means it's harder to be with family. When you have things that need to be done, and family lives 1.5 hours away and you can't do it in the car... sometimes you just need to plan out your days really well and sometimes things just can't happen as often as you would like. And then there's the family expectation that children should be reading well by a certain age, or being doing everything at grade level or should behave perfectly all the time, or be more fiercely independent. It's balancing out expectations and needs and wants. Sometimes it is a bit of a challenge to work out, particularly if you have ill members who do need and deserve your time. There's also the financial aspect of things. Most homeschool families that I know are single income family. One parent works full-time while the other cares for and teaches the children. It means there are things you simply can't afford to do. Bills that take longer to pay off, curriculum you can't afford to buy and budgeting that needs to be done. It's just the way it is. When you are in situation where your pay gets cut or you lose your job it makes it harder to continue to homeschool when it seems like you have the option to send your children to public school and get a job to help pay off the bills and such like. But if homeschooling is what you are called to do, then you figure out how to make it work. There are lots of frugal ways to homeschool available on-line. I have some of them listed on my pages. In our household we raise critters for pets and show. We have rabbits, guinea pigs and mice. :) My son raises the mice and sells them for $1 each. We jointly raise the guinea pigs and I raise rabbits. :) This not only teaches my lad animal husbandry/stewardship but how to manage his money, his time, and teaches business skills. Just like when he grows vegetable plants in the spring and sells them as starter plants. The show aspect of the rabbit world encourages him to learn good sportsmanship, listening to rules and presenting himself and the rabbits well. These are all useful skills for him to develop. Raising our animals is a rewarding hobby that also helps to make ends meet. It is what works for us. Different families have different pulls and stresses on their journey into homeschooling, figuring out how to manage them is an essential part of the journey. What are things that you have to a balance as you work to afford the homeschool life? Balance IS key, isn't it? We raised seven children to adulthood of which the three youngest are homeschool graduates. Then, we adopted our little guy. He's four this coming Sunday. We planned to homeschool him as well. It's just who we are now. We couldn't imagine another lifestyle. So...when our granddaughters came to live with us a year ago we dove head first back into homeschooling. We are actively trying to find that balance. sometimes the balancing is hard to figure though Trina. I have trouble sometimes managing one child, those with more... I marvel at their abilities to pull it all off.